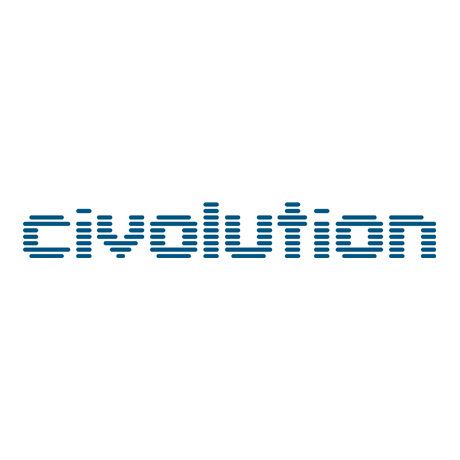 Eindhoven, The Netherlands, September 2nd 2014 – Civolution, the leading provider of technology and solutions for identifying, managing and monetizing media content, today announced the appointments of Volker Ballueder as Director Sales Advertising Solutions EMEA and Joe Krokus as Senior Commercial Director Advertising Solutions US. These appointments will spearhead Civolution’s expansion in TV synchronized advertising in Europe and the US, the world’s most mature and advanced advertisement markets. Civolution’s TV synchronized advertising solution bridges the gap between the TV and online worlds, enabling advertisers to launch simulscreen advertising campaigns that reach consumers on their preferred screen in real-time. Increased demand for its TV synchronized advertising solutions since the beginning of the year has led Civolution to hire these two senior sales directors from the advertising world. Prior to joining Civolution as Director Sales Advertising EMEA, Ballueder was Country Manager UK at Dataxu and later, Sales Director Europe at Admedo, where he helped companies to take part in the programmatic revolution. As an advocate for automated and personalized advertising, publishing his programatic advertising newsletter, he is also a board member at industry leading events such as iMedia and Admonsters. Krokus comes to Civolution with 12+ years of experience driving sales, strategic partnerships and delivering innovative types of data to the programmatic ecosystem. As a RTB industry veteran, he most recently was responsible for the commercial development and execution of IRI’s Consumer Packaged Goods Predictive Models for buying behavior achieving record pacing adoption. His prior experience includes evangelizing innovative technologies and targeting solutions at DoubleClick, MediaMath and UpFront Digital Media. Come and meet the team at dmexco (Hall 6/E039b, September 10-11, Cologne, Germany) where Civolution will showcase its industry leading TV-Synchronized Ads solution. Using real-time ad triggering technology and platforms to automatically place digital advertisements across search, banner, mobile, and social at the moment a TV commercial airs, advertisers can dramatically improve their digital performance while seeing the direct correlation between TV placements and digital transactions. This serves to amplify the advertiser’s message, improve brand exposure, and ultimately increase ROI on advertising spend.